Learn the beautiful art of Indian singing with Sanghamitra Chatterjee in one-on-one private lessons. Lessons are scheduled according to mutual convenience. Lessons include voice training and exercises, basic knowledge of classical elements of Raga and Tala in Indian songs of different types such as bhajan, kirtan, geet, selective film songs, ghazal, regional songs, Tagore songs (Rabindra Sangeet), Nazrulgeeti, Atulprader gaan, folk songs, modern songs, etc. 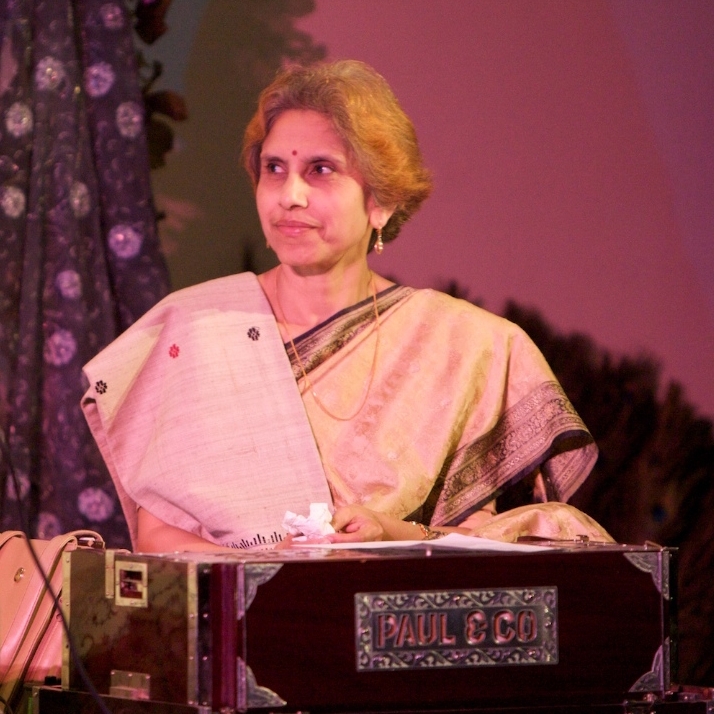 Learn the beautiful art of North Indian Classical Music with Rajyashree Ghosh. This is a private one-on-one class. There are no pre-requisites. You will learn subtle nuances of Indian Classical (Khayal) singing while maintaining a balance between ancient and modern approaches. You also have the opportunity to learn semi-classical (Thumri, Dadra, etc.). The level of the student is determined by the Guru at the time of registration. Add your instructor’s Skype user ID to your Skype contact list. Set up an appointment and pay ahead of time using the buttons below. Should be in a reasonably quiet area. First time online students should fill the following registration form and submit before the first lesson. Thank you! Your instructor will be in touch shortly.